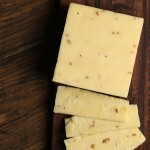 Home / Cheese Collection / Cheddar Cheeses / Cumin Spiced Cheddar 6 oz. 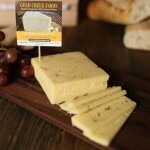 The first of our many specialty cheddars. 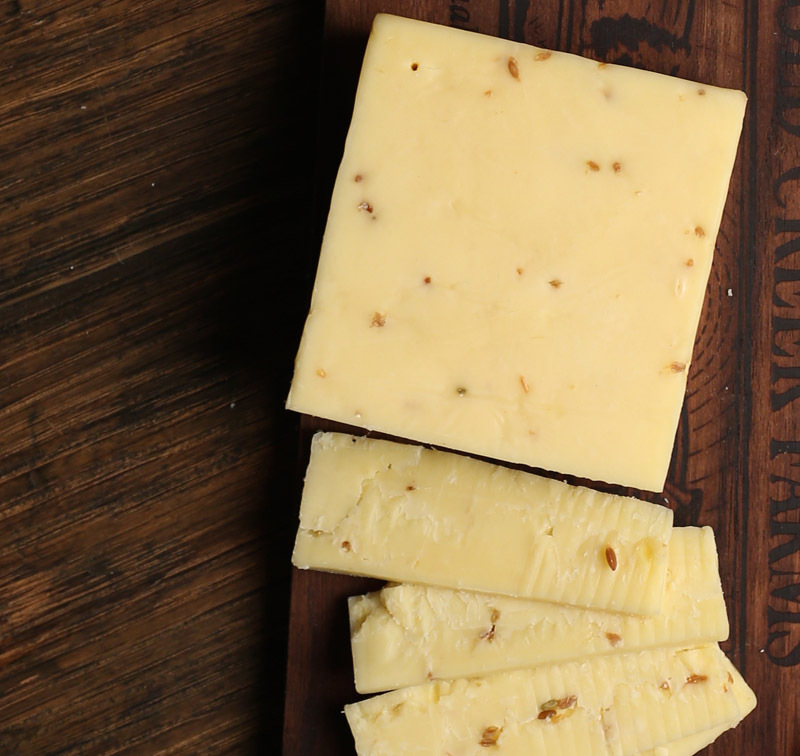 The addition of cumin to this cheddar, gives it a delayed spicy kick. 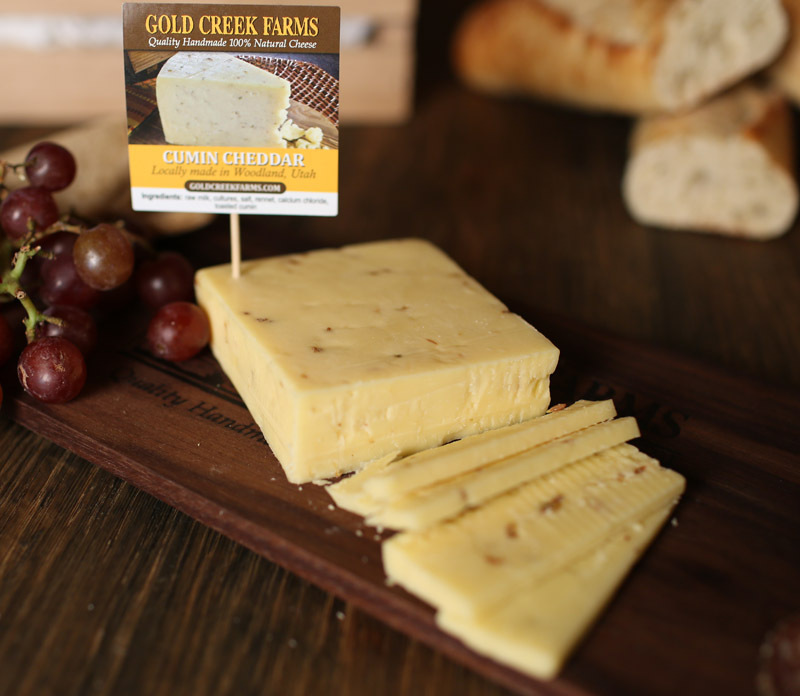 This cheese is quickly becoming a favorite of Gold Creek Farms' customers.